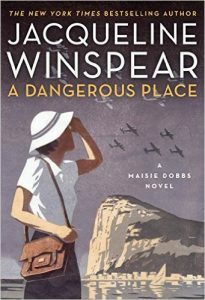 Ever since Jacqueline Winspear published her first Massie Dobbs book in 2003, I have made a point to read each new book in the series. I find it refreshing that she takes the time to tell each of her character’s full story. She tells the reader their past, present and the offers a glimpse into his or her’s possible future. 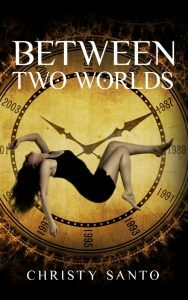 I looked forward to experiencing the same thing with her eleventh book A Dangerous Place. However, when I began reading the book, I was in for a big surprise – Winspear condensed four years of Dobbs’ life into the first chapter. I felt cheated at not being able to fully experience the events after Massie’s acceptance of marriage to James Compton all the way through the tragic events which led her to escape to India and then Gibraltar. I guess Winspear didn’t want to repeat what she did with Massie’s first love Simon Lynch. She allowed him to appear in more than one book as Massie mourned his “living death” and then his real one. Winspear even gave the same treatment to Maurice Blanche, Massie’s mentor after his death. I wish she had done the same for the character of James Compton. Still I found much to like about A Dangerous Place, the peek into Gilbraltar and its history, the war in Spain , and as always I appreciate Winspeare’s continued creation of a strong secondary cast. In A Dangerous Place, these characters include the café owner, Salazhar, Joseph Salomon, who owns a haberdashery, the murdered photographer’s sisters, and Mrs. Bishop, who runs a bed and breakfast. The book on whole was satisfying which compared to her earlier series books is underwhelming. Still I will read Winspear’s next Massie Dobb’s book Journey to Munich coming out in 2016. I hope it will make up for what was missing from A Dangerous Place.